The Rats of NIMH is a beloved book from my childhood, one that I have made sure to pass down to my children. Its simple story and wonderful characters are just perfect for kids, and I enjoyed reading it aloud, so I can attest that it also isn’t too childish for adults. How many books can boast the same; that they hold up over the decades, can be enjoyed by all ages, and leave such a lasting impression in the hearts of their audience? NIMH is a very special classic, and I know I have a weakness for books about animals (Watership Down, Where the Red Fern Grows), but I can’t imagine anyone taking the short time to enjoy this world and walking away without a smile on their face. This book is so simple, so lively, so clean, and I could read it a hundred times. You instantly fall in love with Mrs. Frisby and her tenacity, desperately wishing that all her adventures come complete with happy endings. 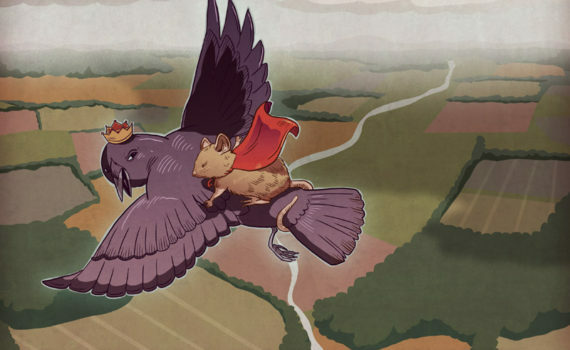 And she meets so many interesting animals on her way toward the truth about the rats: Jeremy the crow, the ancient owl, Justin the captain of the guard, Nicodemus the leader, Mr. Ages the healer. Half of the book is set in real time, half is an explanation of how things came to be, and it’s this combination that makes this story so wonderfully interesting. Kids will follow along breathless, adults will appreciate the deeper themes, and The Rats of NIMH will stay with you long after you put it down.